Iranian media report that 25 foreign representatives and ambassadors visited the Gholhak Orchards yesterday north of Tehran, where British diplomats resided. The visitors reportedly included representatives from Germany, France, Australia, Argentina, Denmark, Brazil, Turkey, Canada, Italy, Switzerland and the Netherlands. 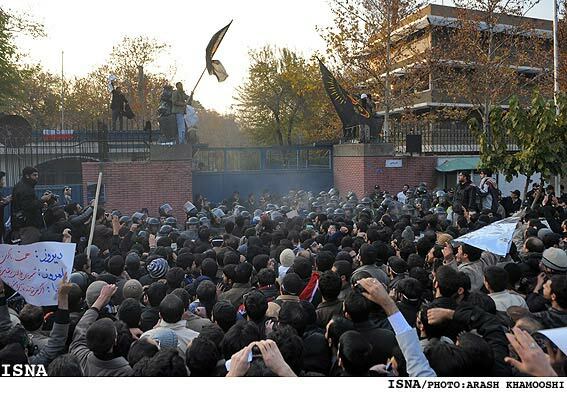 Their visit follows several days of diplomatic upheaval, beginning with events described in this IRNA report: "On Tuesday, in a spontaneous movement, demonstrations were held at the British Embassy and Gholhak Orchards, as groups of students protested Britain's oppressive anti-Iranian policies." The report indicates that Iranian security forces made every effort to control the angry demonstrators. IRNA claims that the security forces worked hard to prevent the demonstrators from entering the two locations. IRNA adds that the protestors ended their demonstration after reading out an announcement. 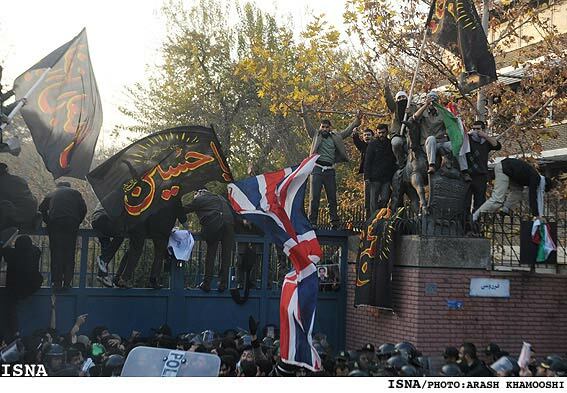 Tuesday's events have led to the closure of the British embassy in Tehran and the Iranian embassy in London. Britain has withdrawn all its diplomats and is today meeting with its international partners to press for even tougher sanctions against Iran. The demonstrations were triggered by Britain's recent decision to boycott Iran's financial sector, including its Central Bank. Iranian Parliament had already ratified a bill to downgrade diplomatic relations with Britain.